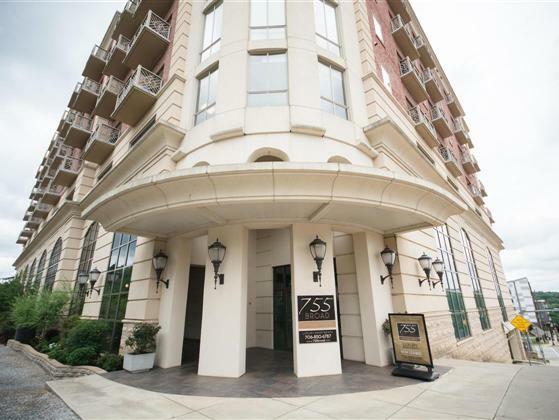 Luxury condominium in Downtown Athens, GA on Broad St. One bedroom one and a half bath. Stellar skyline views of downtown Athens from 8th floor balcony off living area. Private rooftop swimming spas with sundeck and club that have more killer skyline views. Sophisticated interior finishes include granite counter tops and stainless steel appliances in kitchen. Hardwood floors in living area. Leased through December 31, 2016 at $900 per month. Potential to buy tenant out of lease. Hot Property! Call Stephanie Leathers to arrange appointments to show.